This sweater is available in XS size only. There must be some holiday magic in this snuggly sweater! 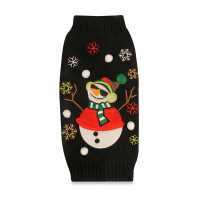 The Snowman Dog Sweater is soft acrylic knit design with a classic country Snowman Design applique on back. 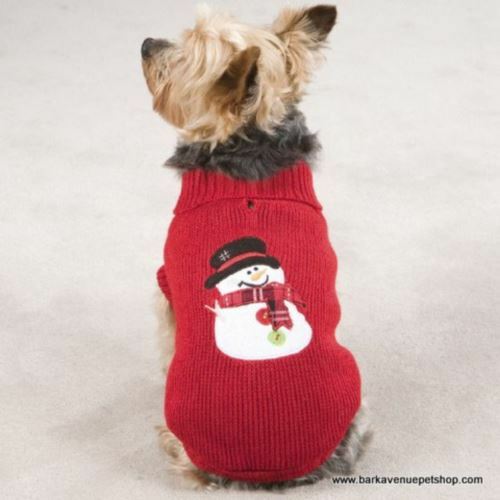 The dog sweater features ribbed knit neck, cuffs and hem and rear leg straps for a comfortable fit. Care: Turn garment inside-out before washing to protect design on back. Machine wash in cold water on gentle cycle. Line dry.